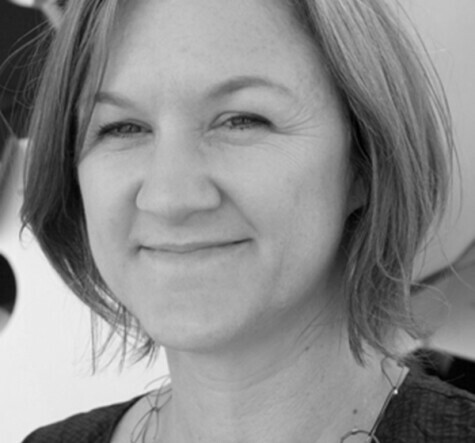 Anne Burdick is the Chair of Media Design Practices (MDP), a graduate program at Art Center College of Design focused on designing for the future of information and communication technologies, through two recently established tracks: Field + Lab. In the Field track, students work on social issues in a real-world context—the first cohort just returned from working at UNICEF’s Innovation Lab in Kampala, Uganda. In the Lab track, students work with emerging ideas from technology, science, and culture. As the author of the influential essay, “Graduate Education: Preparing Designers for Jobs That Don’t Exist (Yet)” (Adobe Think Tank, 2007) Anne is a regular participant in the international dialogue regarding research and advanced degrees in design. In her own practice, Anne designs award-winning experimental text projects in diverse media. With Johanna Drucker, Peter Lunenfeld, Todd Pressner, and Jeffrey Schnapp, she is a co-author of the book Digital_Humanities (MIT Press, 2012).